Harmony provides some great tools for animating puppets. 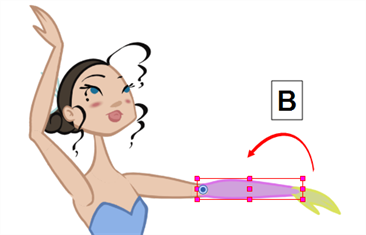 You can create simple animation using the Transform tool, as well as create advanced animation using both forward and inverse kinematics. 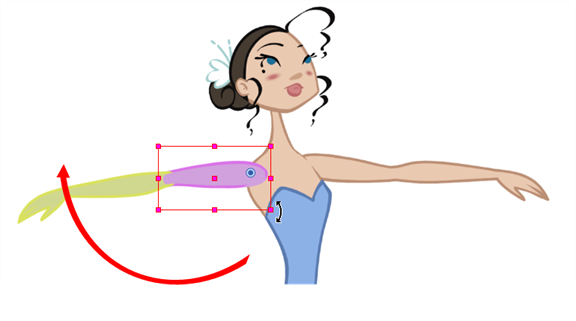 Harmony has advanced onion skinning and image swapping features to help you animate efficiently and quickly. 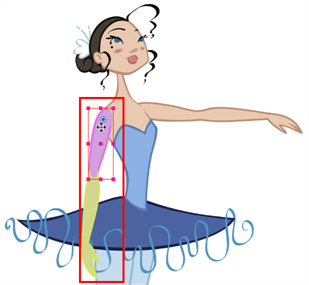 For animation freedom, you have the ability to mix several different techniques of animation, such as simple rigging, hierarchy and symbol animation. 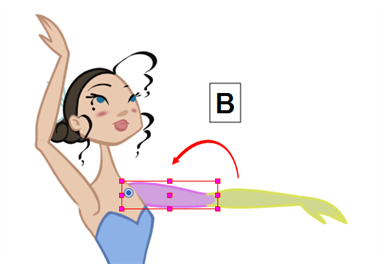 In the Tools toolbar, select the Transform tool or press Shift + T.
In the Tools toolbar, enable the Animate mode so everything you move will be keyframed automatically. From the top menu, select Animation > Stop-Motion Keyframe so the interpolation is not created automatically between keyframes. In the Timeline view, collapse your character. In the Timeline view, go to the frame where you want to set the first pose. To ensure that nothing moves on the new pose, in the Timeline view, select the frame corresponding to the pose, right-click and select Add Keyframe or press F6. In the Camera view, select the parts to animate. Use the Transform tool to rotate, skew, scale or translate the selection to its new position. 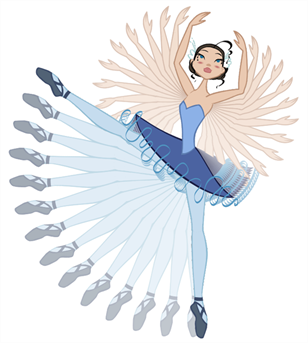 To rotate the piece, place your cursor slightly outside of a corner until you see the rotation cursor. A new keyframe appears in the Timeline view if you did not create one previously. Always create your keyframe first. In the Tools toolbar, enable the Onion Skin feature. In the Timeline view, go to the frame where you want to set the second keyframe. You will need to expend the exposure to see your drawings further down the Timeline view. In the Camera view, animate your character. Repeat this process for all the poses. In the Tools toolbar, select the Transform tool. In the Transform Tool Properties view, make sure the Peg Selection mode is deselected. In the Camera or Timeline view, select a layer attached to a hierarchy. From the top menu, select Animation > Select Parent or press B to select the parent layer. 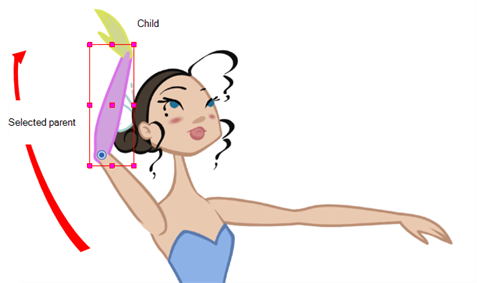 Select Animation > Select Child or press Shift + B to select the child layer. In the Timeline view, select a keyframe from one or more layers. NOTE: Only the first keyframe selected on each layer is considered when using the Set Ease for Multiple Parameter function. If many keyframes are selected on the same layer, the ease values will be applied only to the first one and the rest will be ignored. ‣ In the Timeline view, right-click and select Set Ease For Multiple Parameters. ‣ In the Timeline toolbar, you can click the Set Ease For Multiple Parameters button. If the button is not in the toolbar, you can add it through the Toolbar Manager. Right-click on the toolbar and select Customize. The Set Ease For Multiple Parameters dialog box opens. 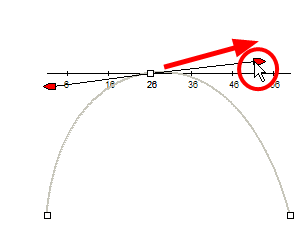 In the graph, pull on the Bezier handle to adjust the velocity for all the selected functions. 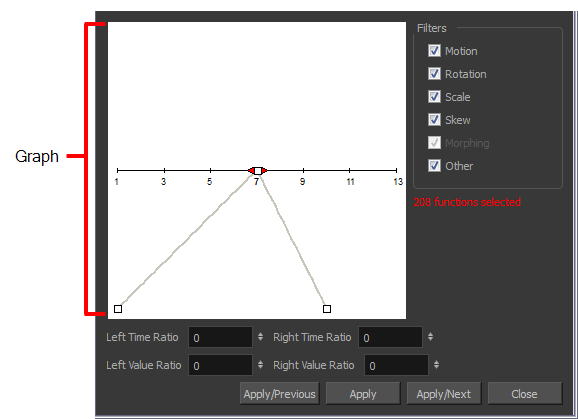 To apply these easing parameters to a certain type of function only, such as Rotation or Scale, in the Filters section, deselect the function types you do not want to affect. ‣ Rotation: Applies the easing parameters to the selected Angle functions. ‣ Scale: Applies the easing parameters to the selected Scale functions. ‣ Skew: Applies the easing parameters to the selected Skew functions. ‣ Morphing: Applies the easing parameters to the selected Morphing Velocity functions. Note that it is applied to the Morphing Velocity function in the Layer Properties window, not to the basic Morphing ease in the Tool Properties view. ‣ Other: Applies the easing parameters to all the other selected functions, such as all functions created to animate effect parameters. You can also adjust the easing by typing values in the Time Ratio and Value Ratio fields. The values are calculated in percentage. ‣ In the Left Time Ratio and Right Time Ratio fields, type the percentage value corresponding to the length of time you want the easing to last. The value must be between 0% and 100%. ‣ In the Left Value Ratio and Right Value Ratio fields, type the percentage value of how strong you want the easing out. The value must be between 0% and 100%. ‣ If your Time Ratio and Value Ratio values are equal, you will have a linear motion. ‣ Apply: Applies the easing parameters to the selected keyframes. ‣ Apply/Previous: Applies the easing parameters to the selected keyframes and then selects the previous keyframe in the timeline. ‣ Apply/Next: Applies the easing parameters to the selected keyframes and then selects the next keyframe in the timeline. ‣ Close: Closes the dialog box. If you did not apply the modifications, they will be cancelled.